The Libraries support nearly twenty Book Discussion Groups who meet monthly in people's homes or the Libraries, at night or during the day. For more information or to enquire on joining a book group please contact the library. Come along and learn how to play cards. Sessions are held at Blackwood Library and everyone is welcome. Click here for more information. Join us at Blackwood Library and enjoy the world’s most popular strategy game. Test your skills against others and talk tactics. Click here for more information. “Bonjour!” Come along and practice your French language in our beginner or intermediate classes. Sessions are held at Mitcham Library and cost $5 per person. Click here for more information. Are you or someone you know unable to leave their house due to illness, a disability or lack of transport? The Mitcham Library Service offers a Home Library Service supported by a dedicated band of volunteers who can deliver library items to your door. To enquire on this service please contact the library. Training sessions are held frequently at Mitcham Library. Please contact the Mitcham Library to enquire on dates. $10 per person. click here for more information. To source contact information for a Justice of the Peace in your area outside of the times listed above please visit the Justice of the Peace Portfolio. Learn how to knit or share your skills with others. This fun group meets monthly at Mitcham Library. Click here for more information. The Library Community Bus service provides a monthly service so residents can select their own books. 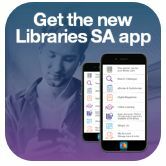 This service is available for residents living in the Mitcham Council area who are unable to make their own way to the libraries. Bookings are essential, please call 8374 7791. Cost is gold coin donation each way. Join in a fun and lively game of Scrabble at Mitcham Library. From beginners to advanced everyone is welcome. Everything required is provided by the library. Click here for more information. Storytime and craft sessions for pre-schoolers are held twice a week at the libraries. Sessions are sometimes noisy, sometimes crazy, but always fun. Click here for more information. "TechTime" sessions are held weekly at both libraries. Customers can book a 30 minute one-one-one session with our staff for help on their own devices. Please contact the library to book or for more information. Click here for more information. Songs, rhymes and stories aimed at 0-2 year olds and their parents, grandparents, and carers. Click here for more information.